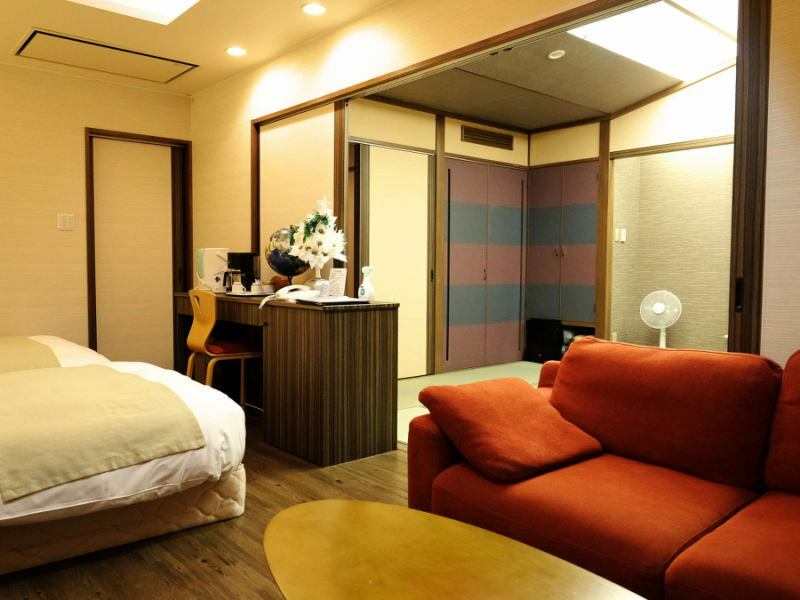 For customers who wish to have a bed, there are rooms with tatami beds in the Japanese style room, but the number is limited (5 rooms in total), so please be sure to confirm when booking. There are also cases where we can not accommodate your request.Please understand carelessly. 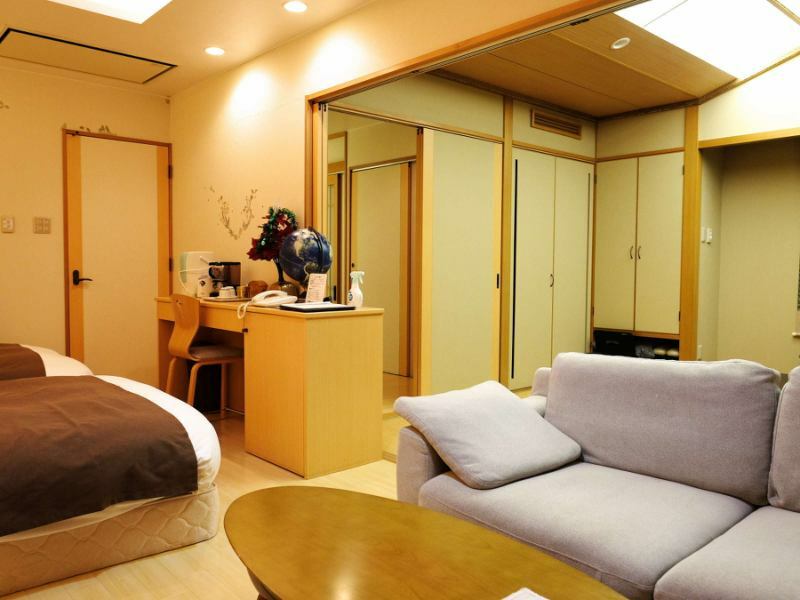 Heisei (time period) a Special room LOHASpa opened in 2007. With the theme of "Fun while being healthy and environment friendly", we have received high popularity among many customers. You can choose meals for dinner in the room or on the first floor 'Privete style Dining'.In "Privete style Dining" you can enjoy the "Local production for local consumption buffet" besides the table set menu. "LOHASpa" offers "Simmons Bed and Tempur Pillow" and "DVD player & BOSE speaker" in all three rooms. We also have exclusive health goods. It is two rooms with Japanese room 14 square meters in front of the Western style of the photo, so you can relax. With a bright room tone, you can refresh freshly. We offer "Simmons Bed and Tempur Pillow" and "DVD player & BOSE speaker". 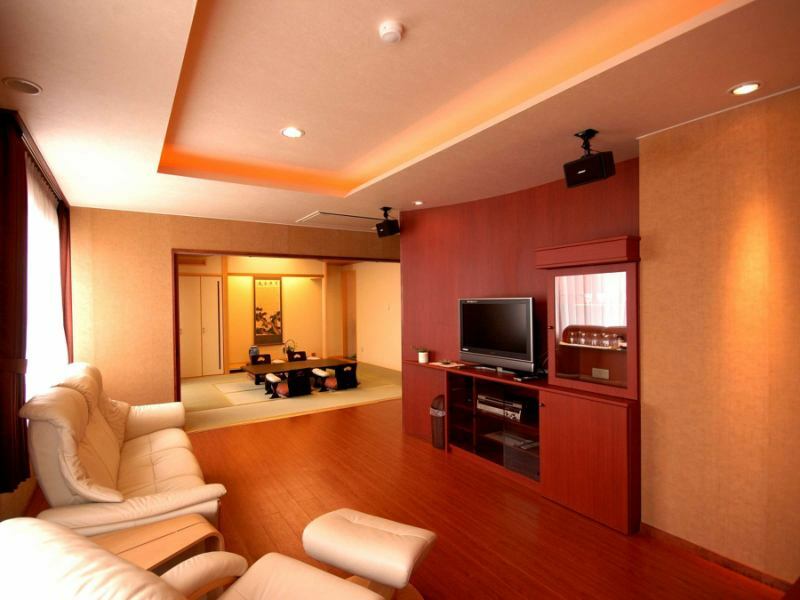 LOHASpa "Of the three types, the widest type is C type.Living space & bed space and Japanese room with 18 square meters. 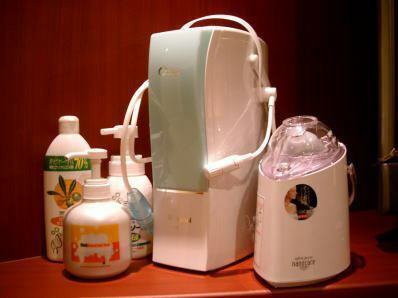 The left is "LOHASpa" dedicated equipment. ※It may be changed when there is a problem with the equipment. Kawayu Onsen of its acidity, Kawayu Onsen has its constituents suspended in the air. 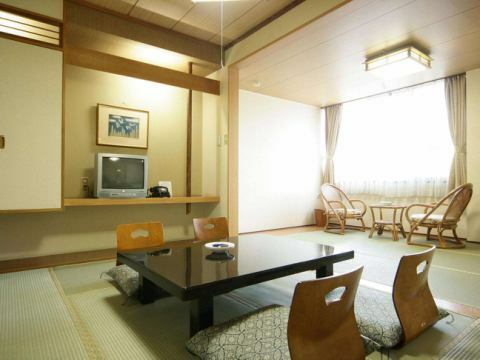 Japanese + Western-style rooms include 3 special rooms.